Richardson Properties, a Central Coast real estate company, has expanded into Southern California. The firm recently opened two new offices in the seaside cities of Manhattan Beach and Rancho Palos Verdes under the Strand Hill-Christie’s International Real Estate label. Richardson Properties has worked as a Central Coast representative for luxury properties with Christie’s for eight years, and now that partnership is expanding to the Southern California area. The business continues to be a family affair as his uncle, Gary Richardson, will oversee the Manhattan Beach office. Richardson has also partnered with Lily Liang, an executive vice president with Stand Hill-Christies, to tap the growing market of wealthy Asian investors interested in the California real estate markets. Residents of a community near the central campus of CSU Channel Islands University are worried their neighborhood could turn into the next Isla Vista. The school is considering a plan to build 590 apartments in University Glen, a partially developed neighborhood of 658 homes and apartments that would house professors and university employees. However, those folk, along with residents that don’t have any ties to the university, are worried that more apartments with more student renters would bring increased crime and traffic. Some attendees of a recent project meeting were so outraged that they said they would move if the apartments were built, according to media reports. Phase 2 of University Glen was supposed to include another 242 homes, including 122 single-family houses and 120 town homes. Santa Barbara-based Apartment Investment Specialists recently announced over $50 million in sales and over 30 apartment building sales. 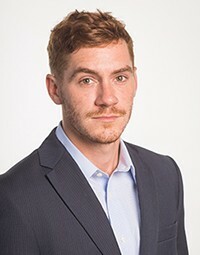 According to broker and company owner Craig Lieberman, the firm has hit those numbers due to “investors flocking to investment grade real estate” thanks to stability and the current low interest rates environment. San Luis Obispo-based real estate firm Rossetti Co. recently bolstered its ranks, adding longtime broker John Hans to the team. A broker since 1986, Hans has leased or sold more than 10 million square feet of office, industrial and investment real estate, totaling more than $100 million, according to a release from the company. Hans is a recipient of the Specialist, Industrial and Office Real Estate designation from the Society of Industrial and Office Realtors. Structural steel for the $305 million expansion of the Ventura County Medical Center is finally complete. The buildings’ bones can start getting fleshed out with concrete and glass, followed by plumbing and electric work, which will keep the project on track for a spring 2017 completion. Upgraded facilities and meeting California’s changing seismic standards are just a couple reasons for the facility’s new wing. Community Memorial, located down Loma Vista Road from VCMC, cited the same reasons for its new hospital construction. 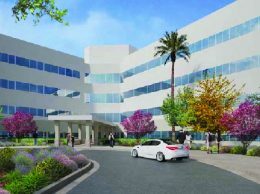 VCMC’s new wing will include private rooms and an emergency room three times larger than the current one. New operating rooms are also part of the plan.